In India, medical care costs are escalating by the day. Not having medical insurance can lead to severe strain on household finances which may mount to debt if the bills are unpaid. As per recent government reports, medical bills are the number one reason people end up in debt. In addition, health insurance tax benefits under section 80D of the Income Tax Act, creates opportunities for protecting created wealth. People without Health Insurance often avoid seeking medical care, as they anticipate heavy bills. As a result, uninsured individuals are less likely to take appropriate preventative health care measures such as annual health check-ups. Most of the Health Insurance policies in India cover the cost of preventive health check-ups, hence people who have Health Insurance tend to catch potential problems early. On the other hand, the uninsured individuals run the risk of acquiring a serious illness that a simple blood test may have helped prevent. There’s no denying the fact that quality healthcare is expensive. Those who are uninsured, will most likely look at saving costs rather than seeking the best quality medical care. On the other hand, for those who have Health Insurance, the cost of treatment is not a factor. Instead, insured individuals are free to seek the best treatment possible without worrying about the bills. It is often seen that being uninsured can affect an individual’s health negatively. Uninsured individuals are far more likely to postpone health care or forgo it altogether than those with Health Insurance. Hence, the consequences can be severe, particularly when chronic diseases or preventable conditions go undetected. When people choose to forgo Health Insurance altogether, they also end up putting their families at risk. For instance, if you don’t have insurance, your family may also have to suffer financially if they need to help you with medical bills. And if they are financially dependent on you, your entire family may end up in a financial crisis due to healthcare bills. As you can see, the risks of being uninsured are dangerous and far too many. 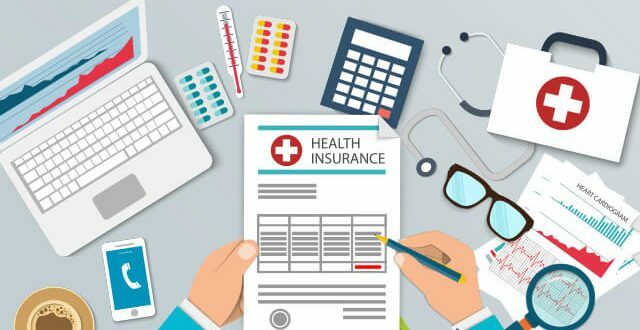 Some of the best Health Insurance companies in India, offer Health Insurance plans with a wide coverage at affordable prices for the average Indian. So don’t think twice, buy a Health Insurance plan today!